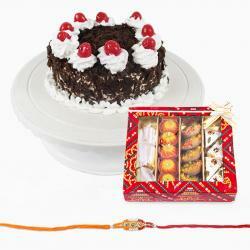 Single Rakhi, Soan Papdi (Weight : 500 gms) along with 1 Kg Motichur Ladoo. 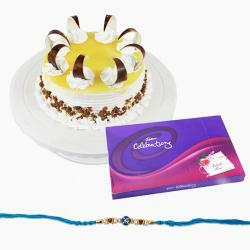 Watch your Raksha Bandhan celebrations come alive with this special combo. 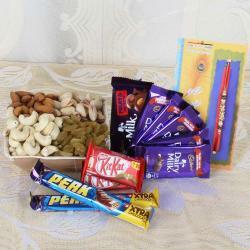 This will delight your brother with its innovative combination of Roli Chawal, exclusive Sweets and an amazing Rakhi. 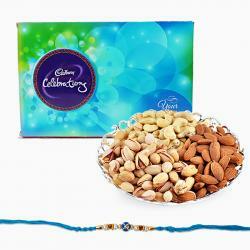 The latter looks immensely beautiful and promises to be a fabulous adornment on your brother wrist for sure. Roli Chawal is the best foil to this lovely ethnic Rakhi while the Sweets adds special sweetness to the entire package with aplomb. 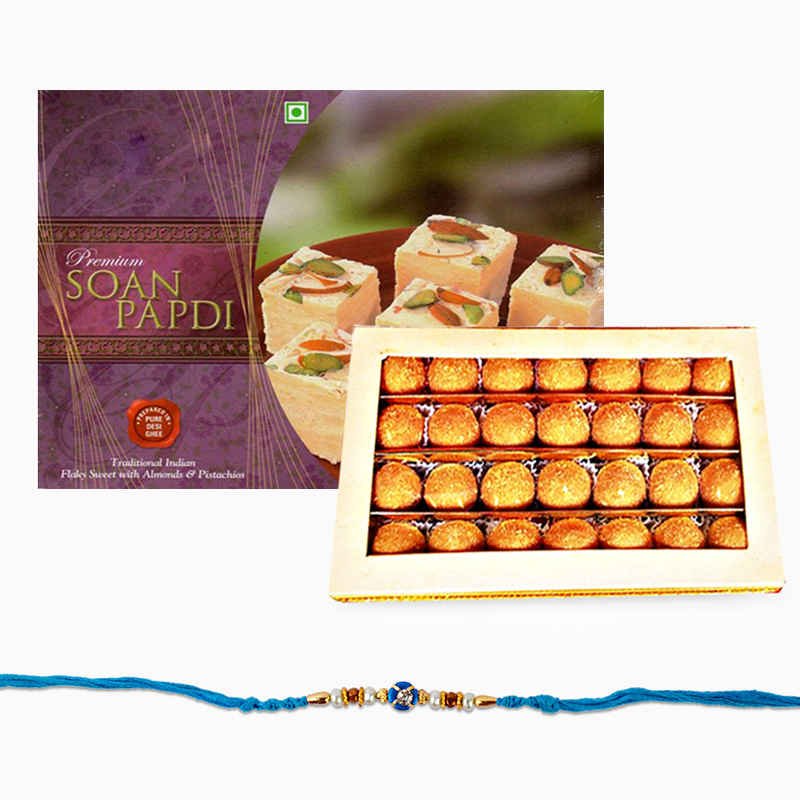 This beautiful Rakhi Combo includes : Single Rakhi and Soan Papdi (Weight : 500 gms) along with Motichur Ladoo (Weight : 1 KG).